EN ESTA SECCION PODRAN ENCONTRAR LOS PRODUCTOS TUNING RELIZADOS EN ITALIA POR CASA LAMBRETTA, DENOMIDADOS CASA PERFORMANCE. MAXIMA CALIDAD, PRESTACIONES Y DISEÑO PARA LAMBRETTA. DEBEN TENER EN CUENTA QUE LA MAYORIA DE ESTOS ARTICULOS VAN SOBRE PEDIDO, CONSULTAR DISPONIBILIDAD, TIEMPO DE ENTREGA Y PRECIO ACTUALIZADO AL HACER EL PEDIDO. 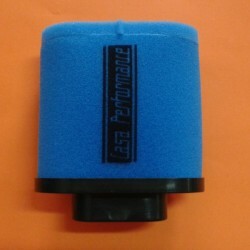 CASA PERFORMANCE Hay 27 productos. 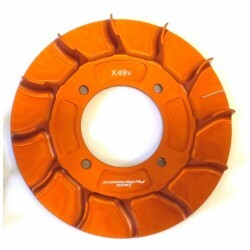 KIT DE SOPORTE DEL ENCENDIDO CASA COOLER DE CASA PERFORMANCE, COLO ROJO, FABRICADO EN ALUMINIO CNC, ENTRE OTRAS VENTAJAS, DESTACAR QUE SE PUEDE CAMBIAR EL RODAMIENTO Y LOS RETENES SIN NECESIDAD DE SACAR EL SOPORTE COMPLETO, MAXIMA CALIDAD, IMPRESIONANTE DISEÑO. 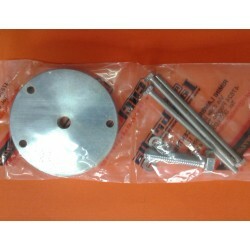 INCLUYE EXTRACTOR PARA EL MONTAJE/DESMONTAJE. 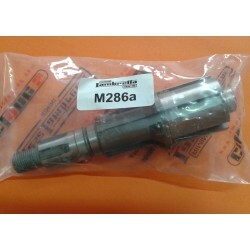 EJE SECUNDARIO PARA LAMBRETTA S2/S3. FABRICADO EN ITALIA POR CASA LAMBRETTA PEFORMANCE. 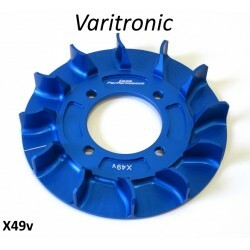 VALIDO PARA CAJAS DE CAMBIOS DE 4 Y DE 5 VELOCIDADES. MAXIMA CALIDAD. 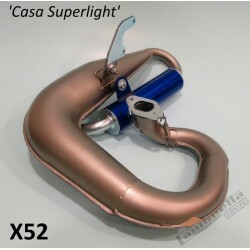 ESCAPE CASA PERFORMANCE SUPERLIGTH PARA LAMBRETTA S2/S3, IDEAL PARA LOS KITS CASA LAMBRETTA 185 Y 210, Y TAMBIEN PARA KITS TIPO MUGELLO, RAPIDO, Y MOTORES STANDARD O LIGERAMENTE TUNEADOS. ESTE ESCAPE QUEDA COMPLETAMENTE BAJO LA CARROCERIA, POR LO QUE NO ROMPE LA ESTETICA ORIGINAL. EXTRACTOR ESPECIFICO PARA EL KIT CASA COOLER. 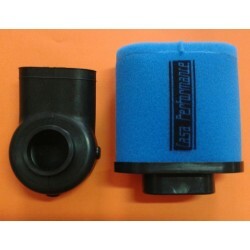 FILTRO DE AIRE CASA PERFORMANCE POWERFLOW, DISEÑO ESPECIAL QUE AUMENTA LA ENTRADA DE AIRE AL CARBURADOR, SOLO PUEDE SER USADO EN CONJUNTO CON LOS FUELLES DE AIRE CASA PERFORMANCE (CODIGOS X62 Y X62A). 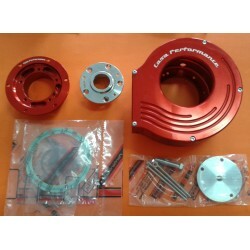 KIT DE FUELLE MAXIFLOW CON BOCA DE 38mm Y FILTRO DE AIRE POWERFLOW DE CASA PERFORMANCE. 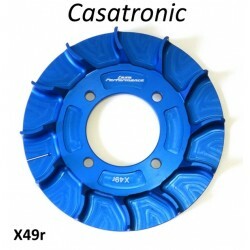 PARA LAMBRETTA S2/S3. AUMENTA EL PASO DE AIRE Y POR SU ESPECIAL DISEÑO EVITA QUE EL FUELLE QUEDE OBSTRUIDO POR EL COFANO. 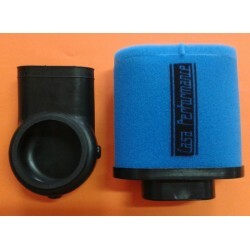 KIT DE FUELLE DE AIRE MAXIFLOW CON BOCA DE 55 mm AL CARBURADOR Y FILTRO DE AIRE POWERFLOW DE CASA PERFORMANCE PARA LAMBRETTA S2/S3. AUMENTA EL FLUJO DE AIRE AL CARBURADOR Y POR SU ESPECIAL DISEÑO EVITA QUE EL FUELLE QUEDE OBSTRUIDO POR EL COFANO. 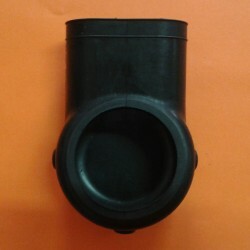 FUELLE DE AIRE MAXIFLOW DE CASA PERFORMANCE, MEDIDA DE LA BOCA AL CARBURADOR 38mm. AUMENTA EL FLUJO DE ENTRADA DE AIRE Y POR SU DISEÑO ESPECIAL HACE QUE EL PASO DE AIRE NO QUEDE OBSTRUIDO POR EL COFANO. 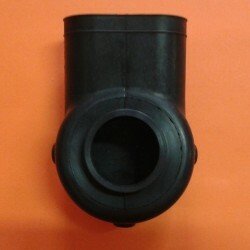 FUELLE DE AIRE MAXIFLOW DE CASA PERFORMANCE, MEDIDA DE LA BOCA AL CARBURADOR 55mm. AUMENTA EL FLUJO DE ENTRADA DE AIRE Y POR SU DISEÑO ESPECIAL EL PASO DE AIRE NO QUEDA OBSTRUIDO POR EL COFANO.